The New Baltimore Hand Dance Association, Inc. was founded in 1994 and incorporated in March 1995. Currently a chapter of the National Hand Dance Association, the NBHDA holds certifications from the Smooth and Easy Dance Institution. The purpose for which the Association is organized includes, but are not limited to: "The preservation, protection and promotion of the African American Art form, locally and Nationally." We want to ensure the preservation of this promoted social gentility, graceful intimacy, and partnership. To teach and chronicle the history of hand dance and other ethnic dance indigenous to the African American Experience, i.e. Jazz. To instill confidence, elegance and sophistication to a new generation and rekindle the spirit of an older generation. To create opportunities for two generations to co-exist in a facility; thereby, learning to appreciate each other's differences. “Dancing is good for your health and your relationship. Dancing also heals your soul and touches your heart”, said Shirley Duncin a member of Charm City Dancers. Learning to dance could add cheer to your life and a whole new dimension to the style and relationship and perhaps your Holiday plans. Dancing brings people together socially, from all aspects of life, the Gardener, Fireman, Lawyer, Doctor, Clerk, Banker, Police just to name a few. Shirley has taught hundreds of folks whom never danced. Dancing all over Baltimore taught; youth, adult, and senior dancing helps them physically and mentally because it’s an activity that you do together with a partner and line dance with a group of people. This is an alternative from being a couch potato and watching T.V. Hand Dancing and line dancing is the new craze in Baltimore. Now the association has a traveling Dance Troop called the Charm City Dancers. Charm City Dancers has thousands of people dancing here in Baltimore and surrounding counties. Some dance for exercise, fun, socially, pleasure, relaxation, entertainment and competition. Hand dancing is a partnership between a man and woman. The man leads the dance and the woman follows his lead and together they create grace and style on the dance floor, and it is a beautiful thing to see. Anyone can dance if they can count to six and know their right from left. You can learn to dance. Hand dancing is a good exercise and it helps you with your coordination, relaxation and its good for the mind. When you are dancing to the music on the dance floor something great and exciting is happening, dancing makes you use your body and muscles you normally do not use. Shirley Duncan’s partner was Lewis Neal; they have been dancing together since 1990 and competing since 1996. We are the 1999 Atlantic Regional Hand Dance Champions and participated in competition from Calf. To Fla. Locally, the company has performed at area colleges, University Dance Festival Center Stage, the Afram Festival, The Baltimore Museum of Art, Walter’s Art Gallery, the NAACP National Convention 2000, City Health Fair, Constitution Hall in D.C., Smithsonian Institution, National Veterans Creative Art Festival, Art Scape, International Festival Television show, Moon Man show, Coffee with Marty Bass, To The point, The Bottom Line, The Ro’s Show. Shirley and Lewis just recently won the National Veterans Creative Arts Festival and won Place and received a Gold medal with an all expenses paid Trip to Minneapolis, Minnesota to participate in a production at the Ted Mann Performing Arts Center starring movie star Jane Power and representing the State of Maryland. 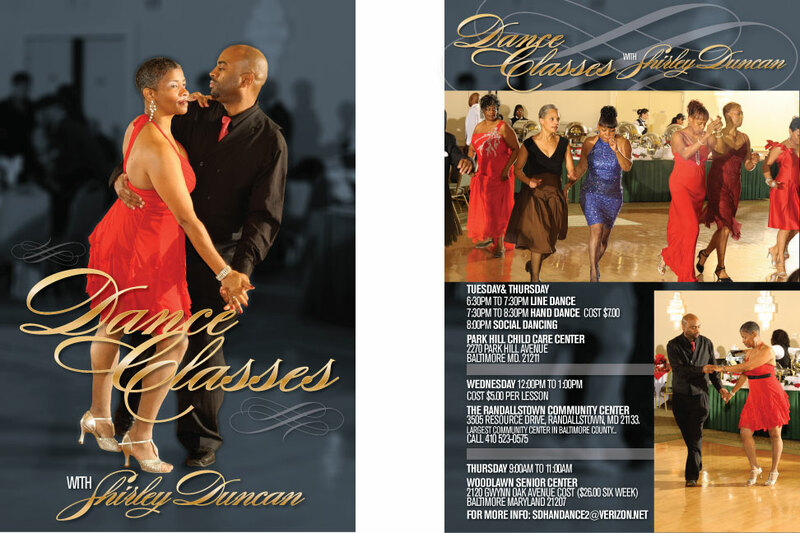 The Charm City Dancers has moved hand and line dance classes to the surrounding counties: Hartford, Howard, and Anne Arundel. Shirley Duncan was recently awarded The Comeo award for her black tie TV Show from Cable Access Broadcasting Company, from Coppin State College. starting with the Cake Walk to Line and hand dance. This affair will be held December 7, 2002, at the Hyatt downtown Baltimore. Shirley has a new class beginning on Saturday December 15, 2007, at 12:00 p.m. at The Park Hill Child Care Center. The Morgan State University and the Department of Housing, contracted shirley to teach hand dancing to the seniors and youth for cardiovascular exercise, have recently tapped Ms. Duncan.